Audition News – Beechmont Players, Inc.
Beechmont Players announces auditions for it’s summer 2019 show, A Nice Family Gathering. It’s the first family gathering since Dad died, and he’s come back as a ghost on a mission; to tell his wife he loved her (something he failed to do during their 41 year marriage). The problem is, she can’t hear or see him–and she has a date for dinner! Audition will consist of cold readings from the script. 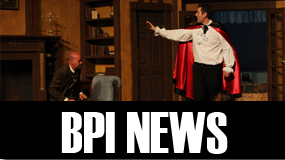 Tonight’s additional audition opportunity for Beechmont Players production of Over the Tavern has been cancelled. There will be an additional audition opportunity sometime over the next few weekends. If interested, email the director, Richard, at richardjoseph@gmail.com with your availability for the coming weekends. Due to inclement weather this weekend, an additional audition for Over the Tavern is scheduled for Wednesday, January 16. Auditionees are asked to arrive by 7P. If you plan to audition on 1/16, please email the director Richard Zenk @ richardjoseph@gmail.com and list the role you are auditioning for. Auditions will be held at Cherry Grove United Methodist Church, 1428 Eight Mile Road. 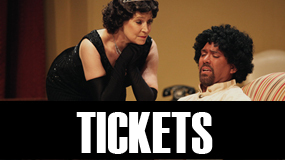 You can read the play for free after registering with Playscripts. Rehearsals begin in late March and will be scheduled weekday evenings and weekend afternoons at Cherry Grove United Methodist Church. Performances will be held at the Anderson Center, 7850 Five Mile Rd, Cincinnati, OH 45230, from May 3 to 11, 2019. RUDY: 12 years old. He is a bright, curious young man with an active imagination. He seems to ask all the wrong questions causing everyone loads of trouble. His questions and remarks always come from his innocence, honesty and sometimes, frustration. SISTER CLARISSA: 50–70 Like any good nun of the era she has a steady (and strong!) hand for disciplining young soldiers for Christ. Reveals her true love for children in the play’s critical moment. GEORGIE: 13 years old. Though cognitively disabled, he possesses a jubilant spirit and an enthusiasm for each of his family members. Everyone should be careful what they say around him because he’s a little sponge who soaks up everything and sometimes repeats it. EDDIE: 15 years old. Typical swaggering teenage boy. Loves his family but wouldn’t be caught dead admitting it. Hides his sweet nature under a tough guy demeanor. He is fixated on girls, girlie magazines and any impure thoughts that inevitably come with both. ANNIE: 16 years old. She may be the oldest child but has no more figured out than her siblings. She’s somewhat shy and insecure and just wants a boy to like her. Though she doesn’t always say much it’s obvious there seems to be a lot stirring beneath her shy exterior. CHET: The Dad. 40-50 years old. He has a hard time making ends meet and supporting his family. This sometimes makes him very frustrated, putting him at a distance from the family he loves. ELLEN: The Mom. 35-45 years old. With great humor, energy, patience and love, she holds her family together. Though at times tired and weary, she can still summon the zest to dance a late night polka in the kitchen with her husband. And she’s feisty enough to snap a nun’s ruler in two when her kid is being threatened. Act I Scene 7: SISTER: “Stand up, young man.” to SISTER: “…but it is up to you.” Skip Annie and Rudy lines. Act I, Scene 3: ANNIE: “Hi. No, no..” to ANNIE: “I think it looks pretty.” Skip Rudy line. 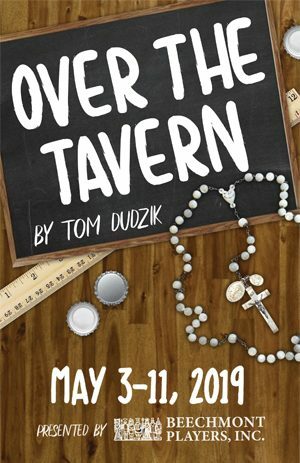 Beechmont Players and director Richard Zenk will be holding auditions for Over the Tavern by Tom Dudzik. Auditions will be held at Cherry Grove United Methodist Church, 1428 Eight Mile Road on Saturday, January 12 from 1-3P and Sunday, January 13 from 1-3P. Call backs will be Saturday, January 19 from 1-3P or Sunday, January 20 from 1-3P at the same location. Auditionees are asked to arrive by the start time of the audition. The director is looking actors that look and can act the characters’ ages. RUDY PAZINSKI: 12 years old. He is a bright, curious young man with an active imagination. He seems to ask all the wrong questions causing everyone loads of trouble. His questions and remarks always come from his innocence, honesty and sometimes, frustration. GEORGIE PAZINSKI: 13 years old. Though cognitively disabled, he possesses a jubilant spirit and an enthusiasm for each of his family members. Everyone should be careful what they say around him because he’s a little sponge who soaks up everything and sometimes repeats it. EDDIE PAZINSKI: 15 years old. Typical swaggering teenage boy. Loves his family but wouldn’t be caught dead admitting it. Hides his sweet nature under a tough guy demeanor. He is fixated on girls, girlie magazines and any impure thoughts that inevitably come with both. ANNIE PAZINSKI: 16 years old. She may be the oldest child but has no more figured out than her siblings. She’s somewhat shy and insecure and just wants a boy to like her. Though she doesn’t always say much it’s obvious there seems to be a lot stirring beneath her shy exterior. CHET PAZINSKI: The Dad. 40-50 years old. He has a hard time making ends meet and supporting his family. This sometimes makes him very frustrated, putting him at a distance from the family he loves. ELLEN PAZINSKI: The Mom. 35-45 years old. With great humor, energy, patience and love, she holds her family together. Though at times tired and weary, she can still summon the zest to dance a late night polka in the kitchen with her husband. And she’s feisty enough to snap a nun’s ruler in two when her kid is being threatened. SISTER CLARISSA: 50–60-ish. Like any good nun of the era she has a steady (and strong!) hand for disciplining young soldiers for Christ. Reveals her true love for children in the play’s critical moment. You can read the play for free after registering at https://www.playscripts.com/play/1070. Auditions will be held at Cherry Grove United Methodist Church, 1428 Eight Mile Road on Saturday, January 12 from 1-3P and Sunday, January 13 from 1-3P. Call backs will be Saturday, January 18 from 1-3P or Sunday, January 19 from 1-3P at the same location. Auditionees are asked to arrive by the start time of the audition. Email the director at richardjoseph@gmail.com with questions or to be sent the audition excerpts.